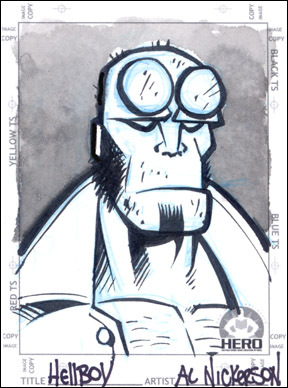 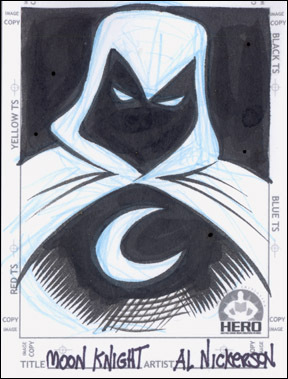 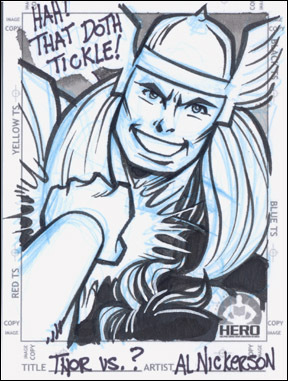 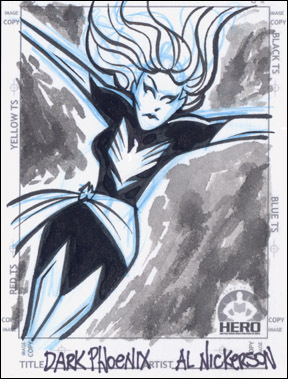 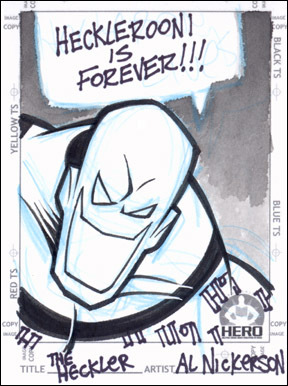 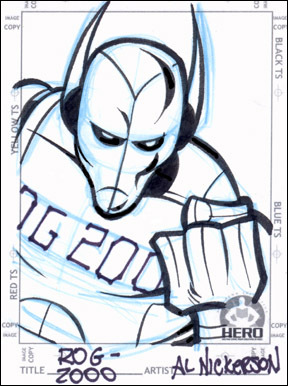 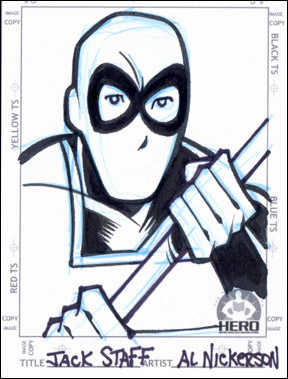 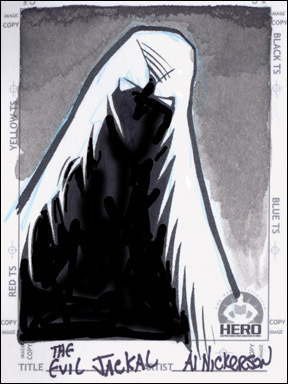 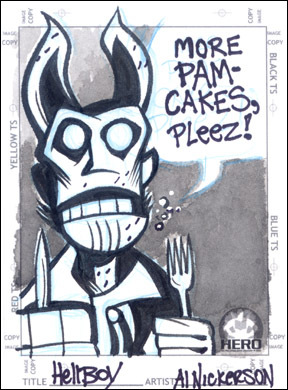 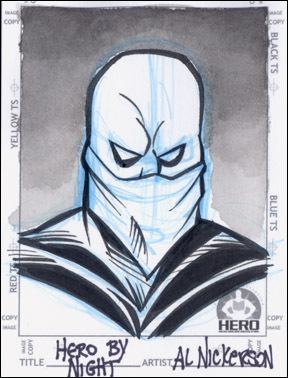 The Hero Initiative had asked me to draw some sketchcards. 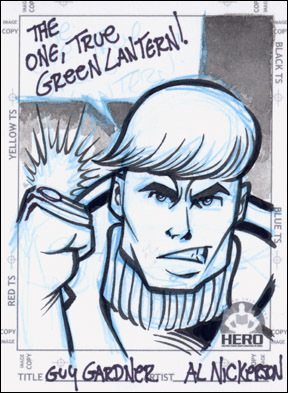 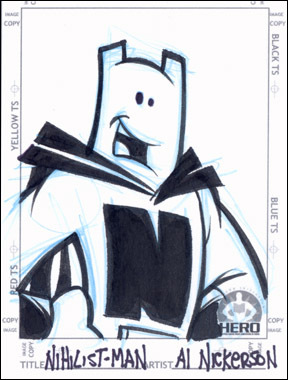 These sketchcards are illustrated by cartoonists, which are then given to Hero Initiative members. 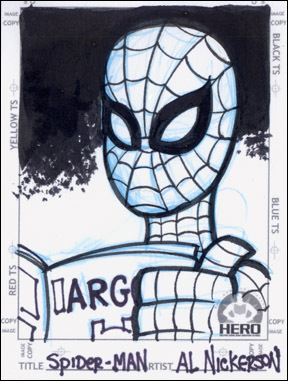 The Hero Initiative is a worthwhile organization, and I was pleased to contribute. 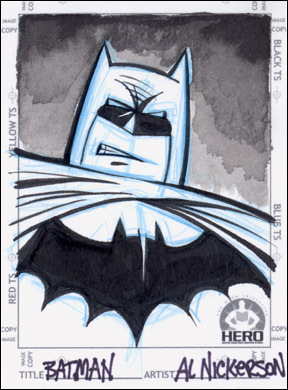 With my Hero Initiative sketchcards, I used blue pencil, brush, a bit of Sharpie, and some inky water. 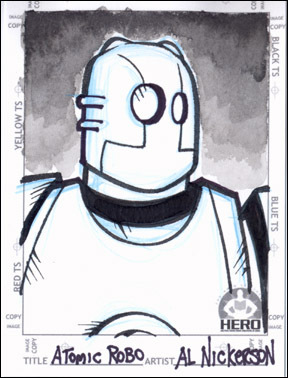 I’ll be posting a few cards at a time over the next several days. 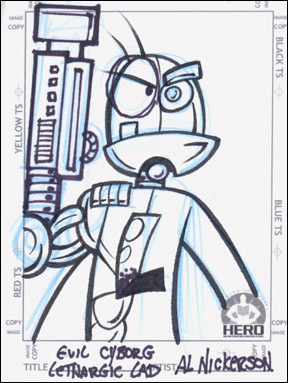 If you like to draw comics and if you would like to help, then please contribute sketchcards (or anything else) to the Hero Initiative.